A few posts back, I did a chocolate cookie. Well today, I do a CHOCOLATE COOKIE. This one is for those intense chocolate lovers out there. 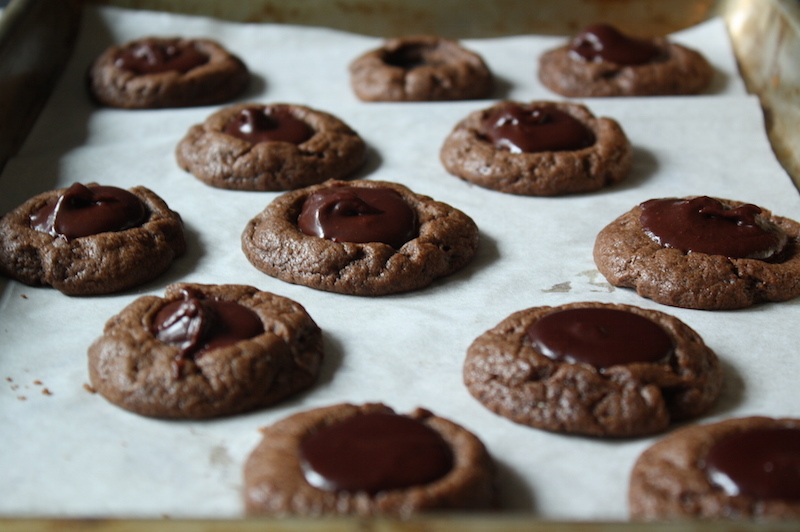 A soft chewy chocolate cookie filled with a puddle of raspberry chocolate filling. Amazing.